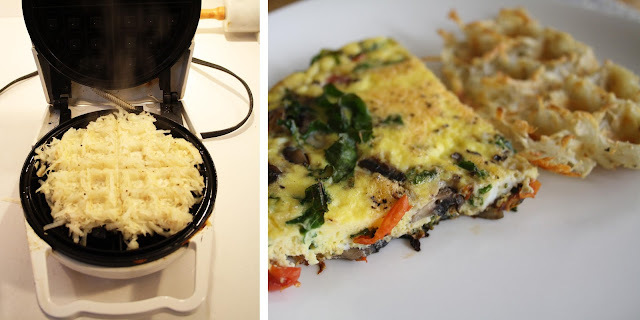 Having fasted yesterday, this morning seemed like the perfect opportunity to make my first frittata; a hearty and healthy breakfast. 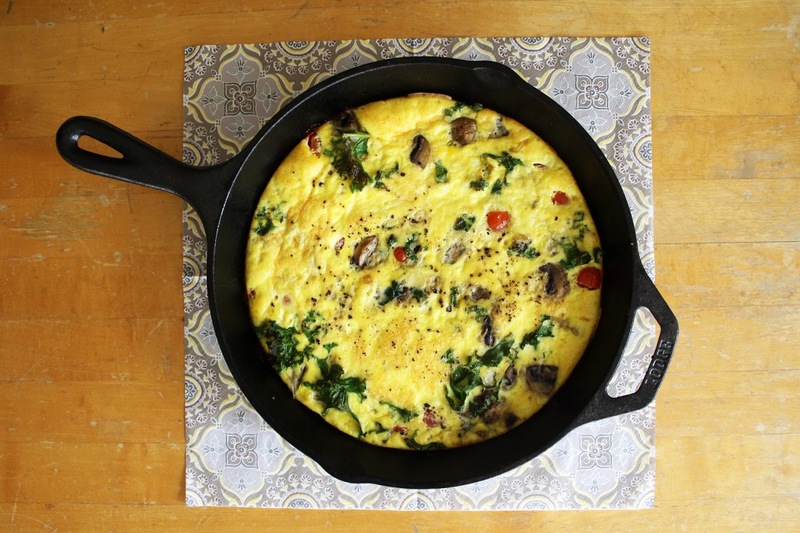 One can throw a variety of different veggie/spice combinations into a frittata. Naturally Ella describes them fairly well over here. Be creative and experiment with whatever you have lying in the fridge - you really can't mess this up. Whisk together the eggs, milk, s+p. In a 9" cast iron skillet, saute the veggies and thyme for about 5 minutes. Add in the egg mixture and cook for 5 minutes until the bottom firms up. Transfer pan into the oven and bake for 10-12 minutes, until fluffed-up and golden on top. Feel free to broil for 2 minutes at the end to crisp it up. When I first read about this online, I was baffled...confused as to whether this would actually work or not. After testing it out this morning, this may become one of my new go to brunch side dishes; incredibly easy and the perfect crunch! Mix with enough olive oil to coat, salt and pepper. Place on hot waffle iron until crispy.